Ever think Scrooge had it right before the ghosts ruined his life? Meet Aidan O'Conner. At one time he was a world-renowned celebrity who gave freely of himself and his money without wanting anything in return . . . until those around him took without asking. Now Aidan wants nothing of the world - or anyone who's a part of it. When a stranger appears at his doorstep, Aidan knows he's seen her before . . . in his dreams. Born on Olympus as a goddess, Leta knows nothing of humans. But a ruthless enemy has driven her from the world of dreams and into the home of the only man who can help her: Aidan. Her immortal powers are derived from human emotions - and his anger is just the fuel she needs to defend herself. Trapped together in a brutal winter storm, Aidan and Leta must turn to the only power capable of saving them - or destroying them both: trust. There was a time when Aidan had it all, both rich and talented he was an Oscar winning actor who was engaged to the woman of his dreams, but then he was betrayed by his family and closest friends and lost his faith in humanity. Now he lives in the middle of nowhere and keeps the whole world at a distance, the last thing he needs is for anyone to get close enough to betray him again and he has no intention of returning to the movie business no matter how much money they're offering him. His brother isn't content to let things lie though and he has one last plot up his sleeve, he has summoned a god of pain to destroy Aidan once and for all. Luckily for him the god of pain has an enemy and goddess Leta will do whatever it takes to protect Aidan and defeat her nemesis once and for all. While I liked both of the main characters in this I have to admit I didn't enjoy it as much as I have previous Dark-Hunter novels, probably because it has no connection to any of the previous books we've read and both main characters are completely new to the series. It's mentioned that Leta is M'Adoc's sister and we do see him briefly but that wasn't enough to give me the Dark-Hunter fix I was looking for. Aidan had suffered some terrible betrayals but I have to say I started to get a little fed up with his constant complaining, he was so determined to push everyone away that he came across as quite gruff and unfeeling and I started to get bored of his internal monologue. Leta was more interesting, I enjoyed finding out more about the Dream-Hunters and their curse and I did like seeing her bring Aidan out of his shell. Overall I'd say this was an okay read, it had a bit of a Christmas feel to it with Aidan's Scrooge impression going on and a holiday celebration thrown in for good measure, it was also a very quick and easy read but it didn't grab my attention like the books in this series usually do and it wasn't as good as I expected. The romance did have quite a sweet ending and I wouldn't mind getting an update on the couple as the series continues, perhaps they'll have some important impact later on that I'm not currently aware of. 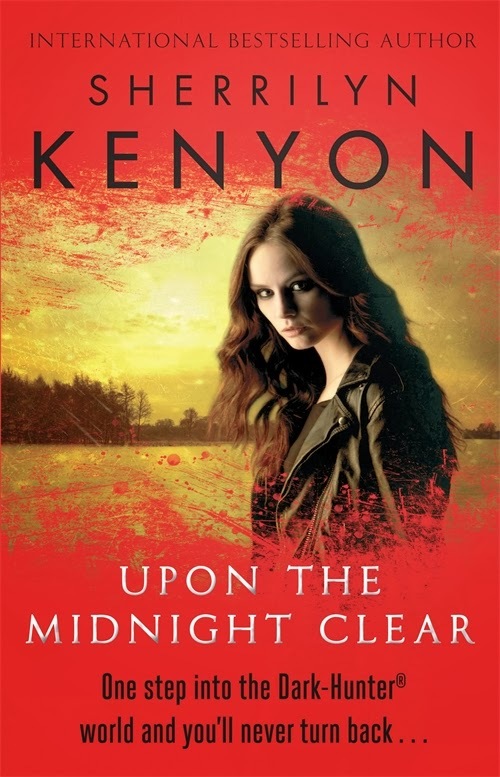 I have admittedly high expectations for Sherrilyn Kenyon but I'm hoping the next book goes back to some of the main characters who I'm much more excited to read about.